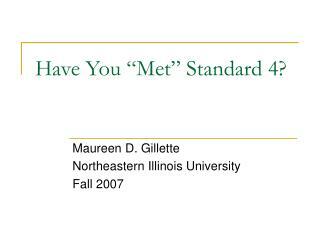 Have You “Met” Standard 4? 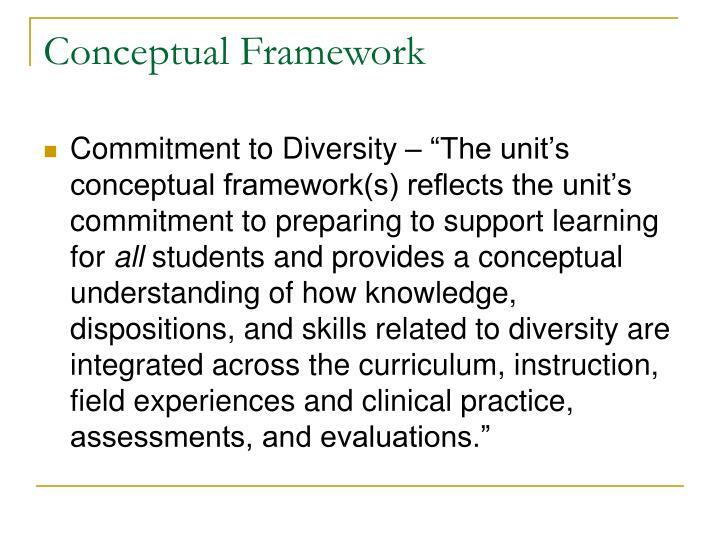 The unit designs, implements, and evaluates curriculum and experiences for candidates to acquire the knowledge, skills, and dispositions necessary to help all students learn. 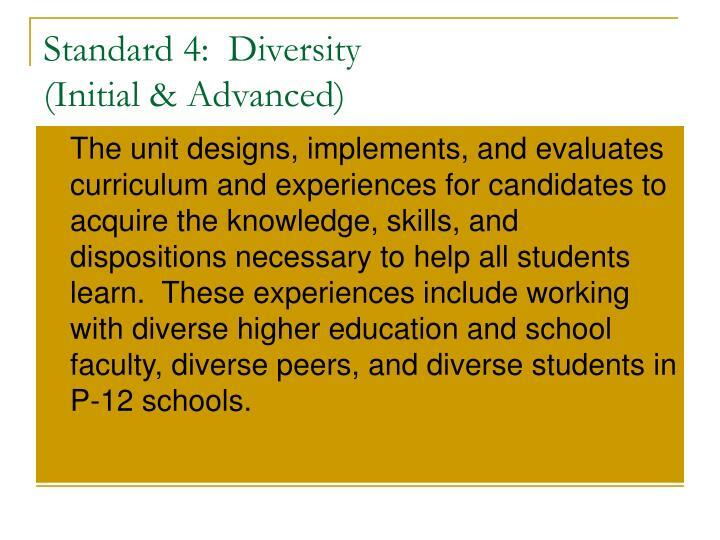 These experiences include working with diverse higher education and school faculty, diverse peers, and diverse students in P-12 schools. 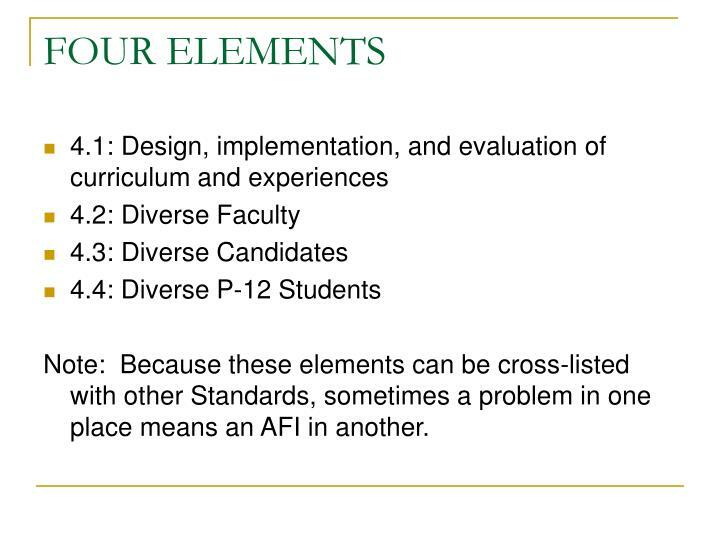 Note: Because these elements can be cross-listed with other Standards, sometimes a problem in one place means an AFI in another. 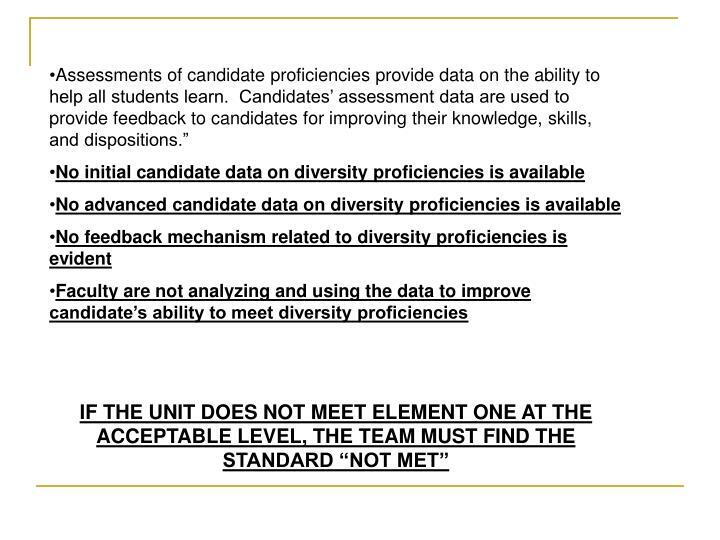 WHY IS IT SO DIFFICULT TO DOCUMENT DIVERSITY PROFICIENCY? Dottin, E. S. (2005). 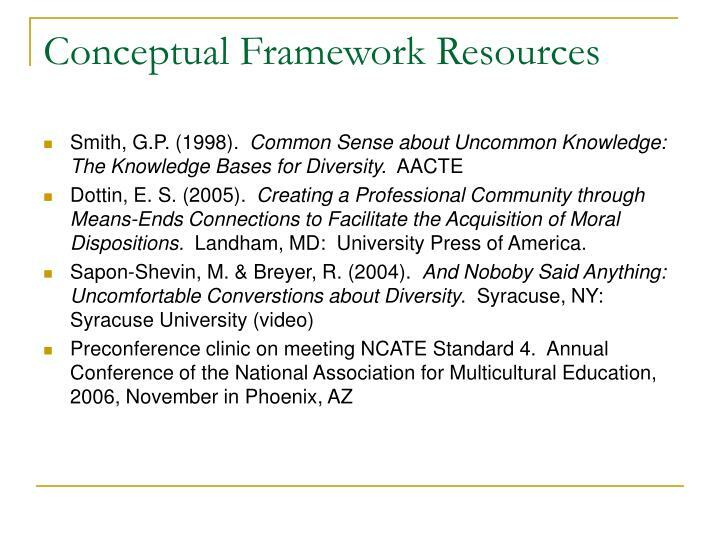 Creating a Professional Community through Means-Ends Connections to Facilitate the Acquisition of Moral Dispositions. Landham, MD: University Press of America. 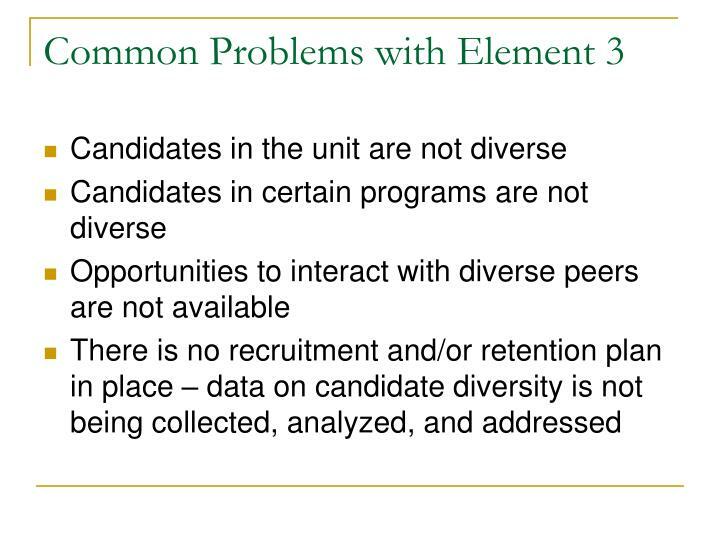 What knowledge, skills, and dispositions related to diversity do you expect of your candidates? 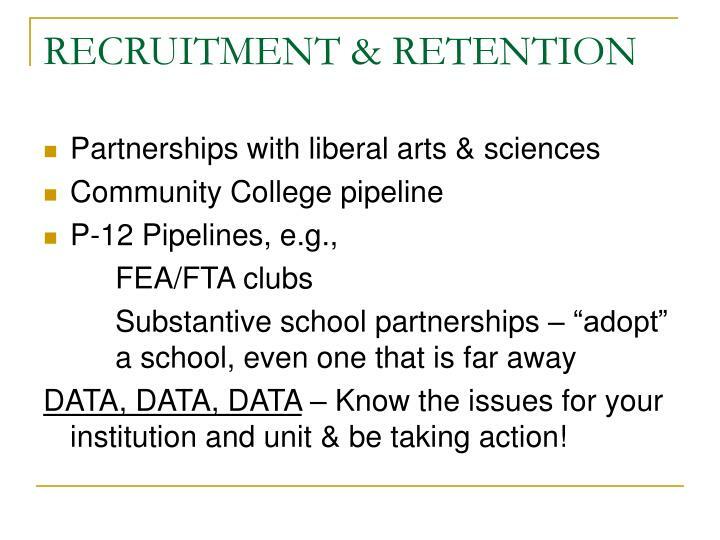 HOW WILL YOU COLLECT BASELINE DATA ON CANDIDATES AND ON THE CURRICULUM ? 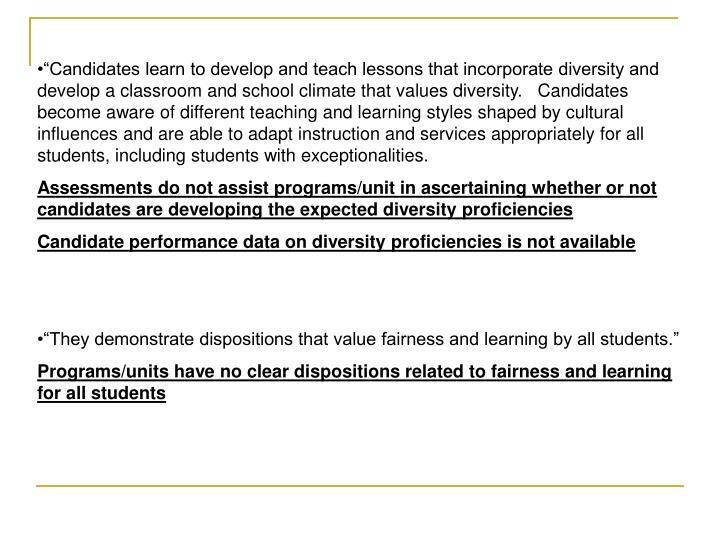 “Candidates learn to develop and teach lessons that incorporate diversity and develop a classroom and school climate that values diversity. Candidates become aware of different teaching and learning styles shaped by cultural influences and are able to adapt instruction and services appropriately for all students, including students with exceptionalities. 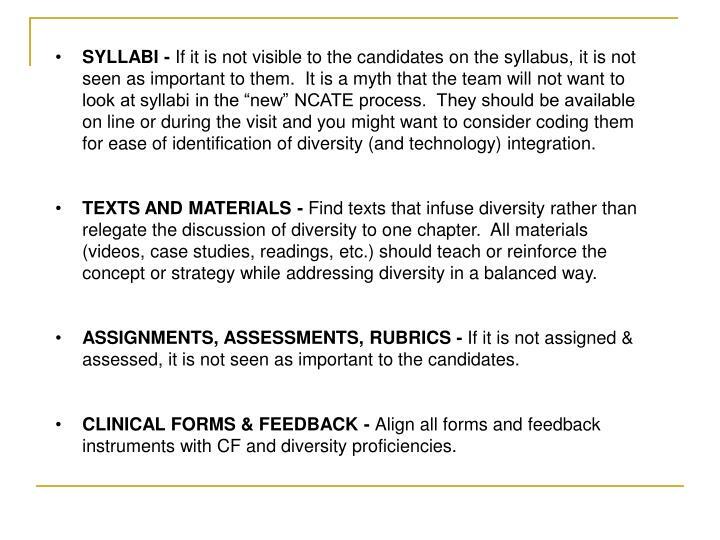 SYLLABI - If it is not visible to the candidates on the syllabus, it is not seen as important to them. 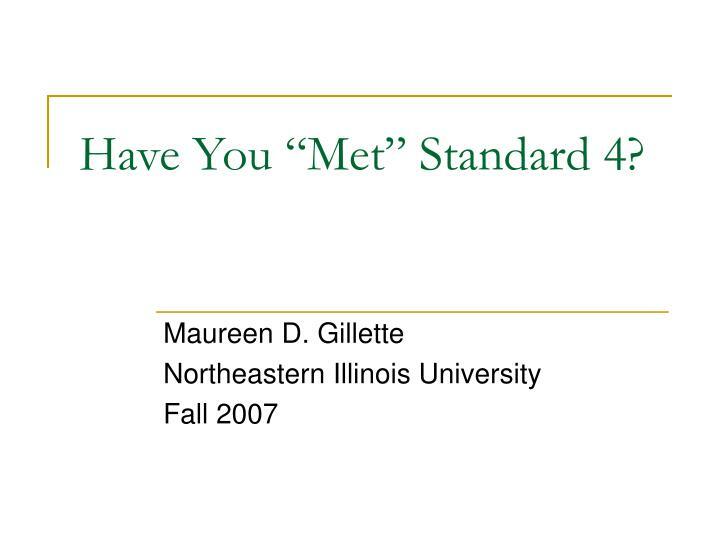 It is a myth that the team will not want to look at syllabi in the “new” NCATE process. They should be available on line or during the visit and you might want to consider coding them for ease of identification of diversity (and technology) integration. 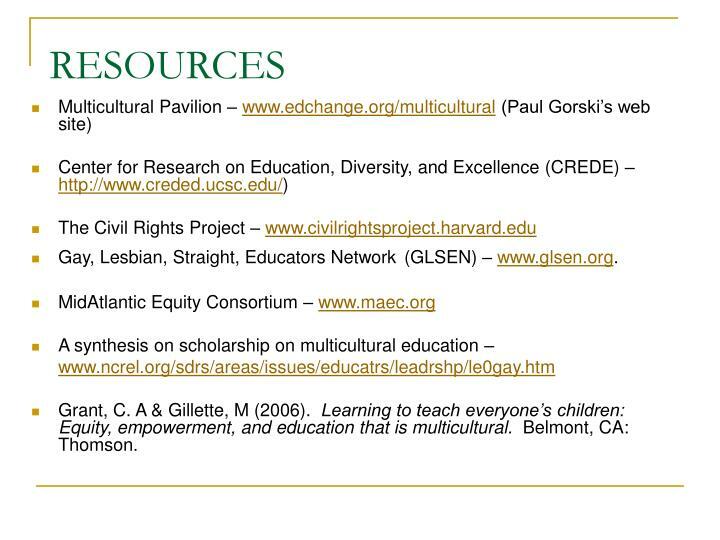 TEXTS AND MATERIALS - Find texts that infuse diversity rather than relegate the discussion of diversity to one chapter. All materials (videos, case studies, readings, etc.) 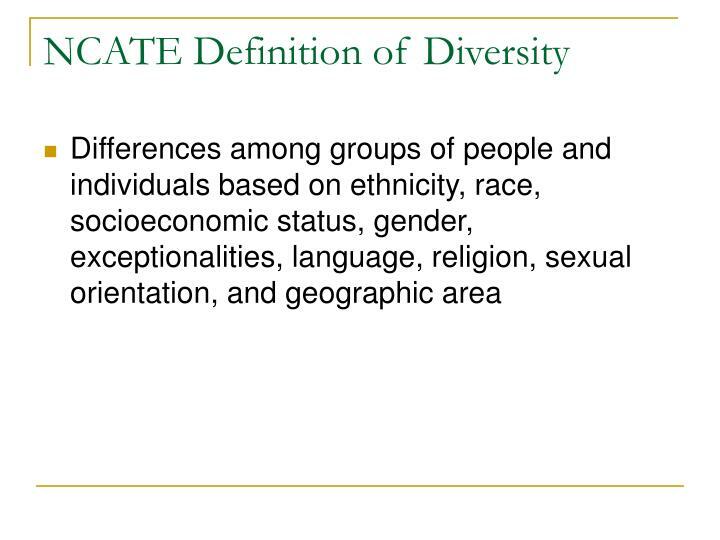 should teach or reinforce the concept or strategy while addressing diversity in a balanced way. 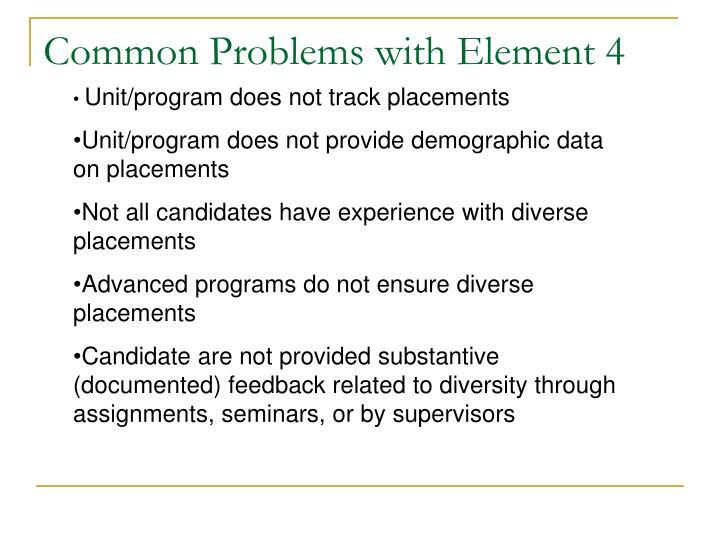 ASSIGNMENTS, ASSESSMENTS, RUBRICS - If it is not assigned & assessed, it is not seen as important to the candidates. 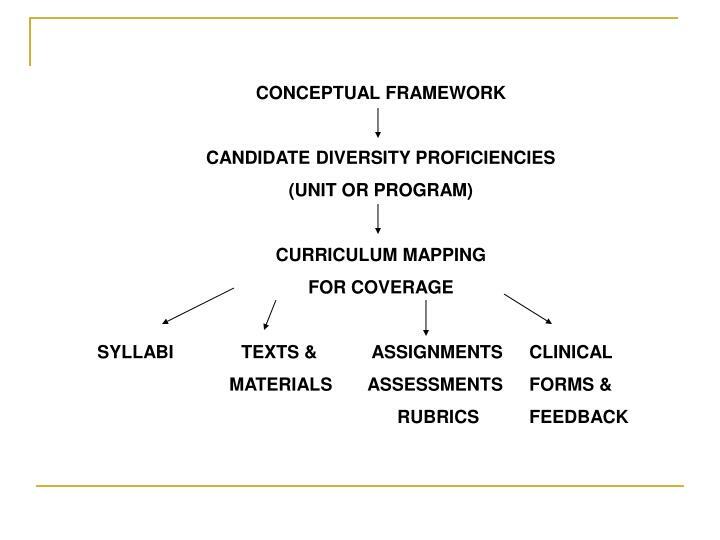 CLINICAL FORMS & FEEDBACK - Align all forms and feedback instruments with CF and diversity proficiencies. 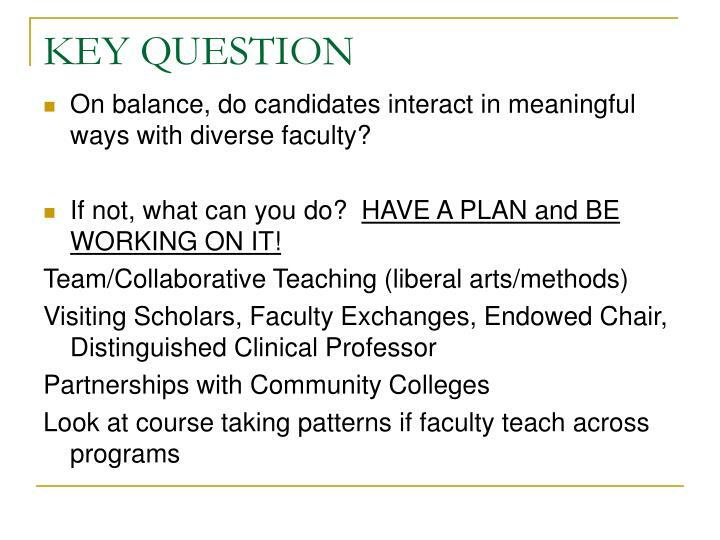 On balance, do candidates interact in meaningful ways with diverse faculty? If not, what can you do? HAVE A PLAN and BE WORKING ON IT! What are effective recruitment strategies? 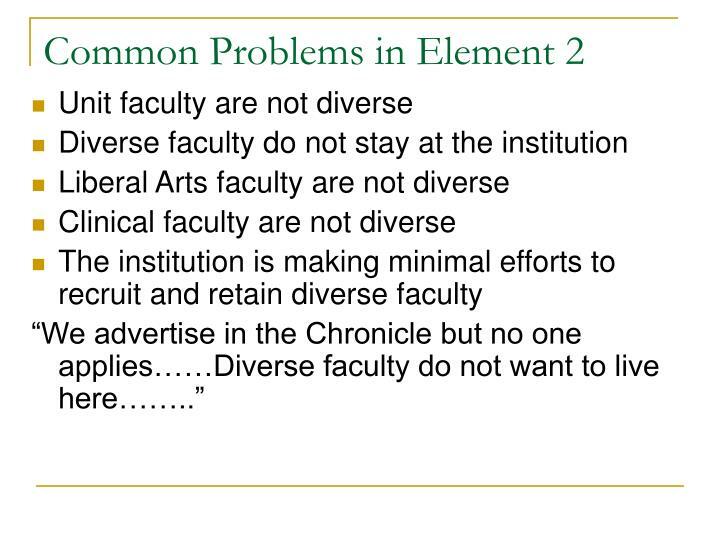 What type of college/university environment supports retention of diverse faculty? 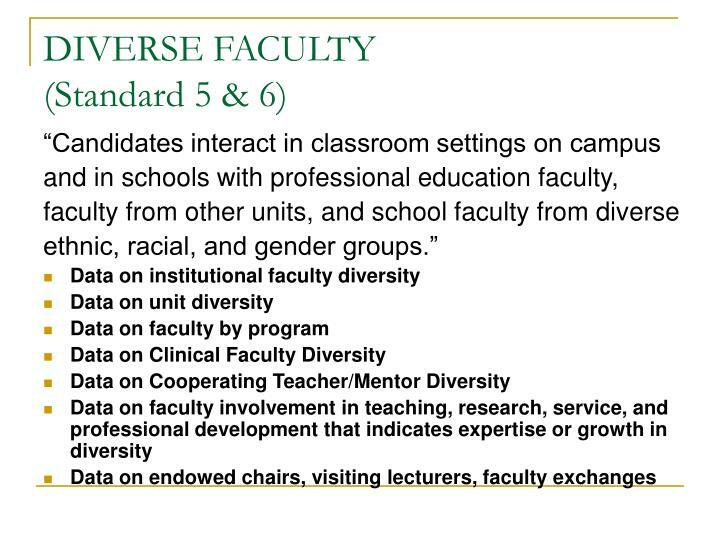 What type of school/college of education environment supports retention of diverse faculty? 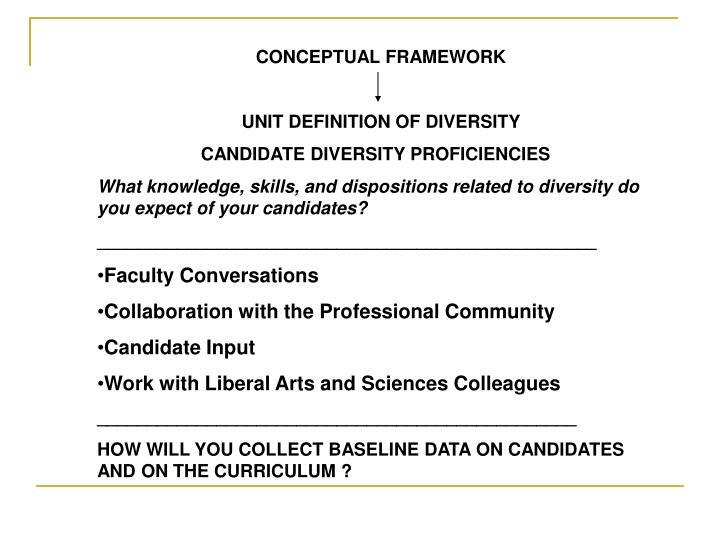 What types of faculty professional development indicate a commitment to ensuring that faculty are aware, accepting, and affirming of diversity and can facilitate those perspectives in candidates? What type of statistics can you keep to document your efforts? 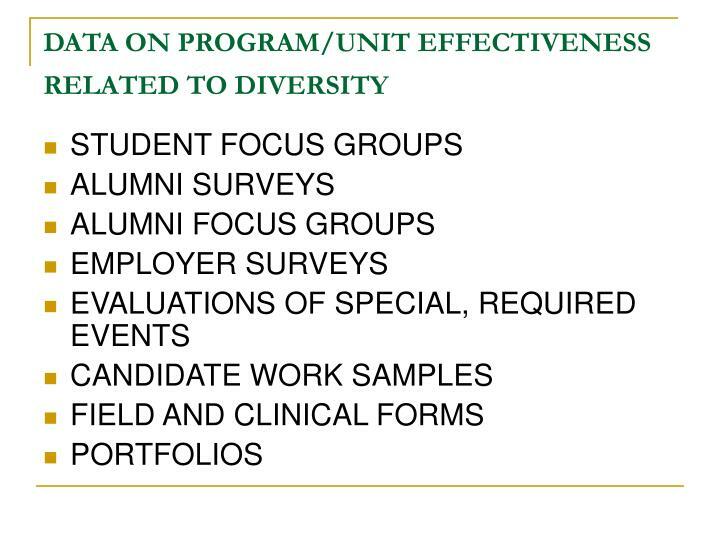 “Candidates interact and work with candidates from diverse ethnic, racial, gender, and socioeconomic groups in professional education courses on campus and in schools. Candidates from diverse ethnic, racial, gender, and socioeconomic groups work together on committees and education projects related to education and the content areas. 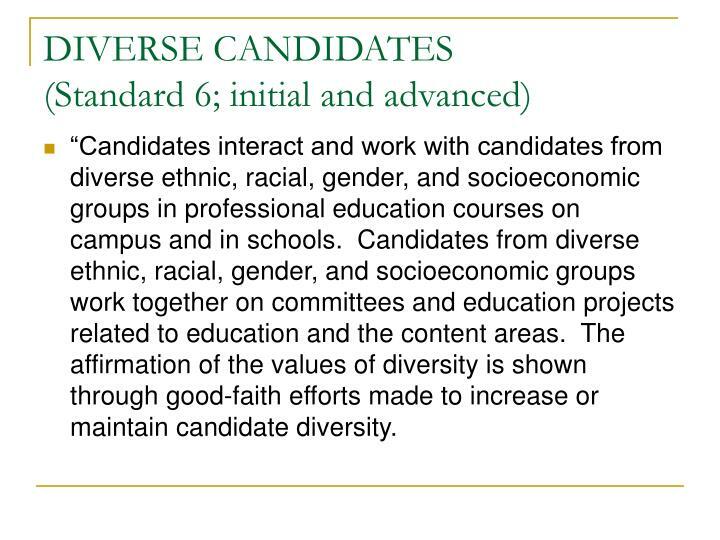 The affirmation of the values of diversity is shown through good-faith efforts made to increase or maintain candidate diversity. HAVE A PLAN OR A SYSTEMATIC APPROACH AND BE IMPLEMENTING IT! 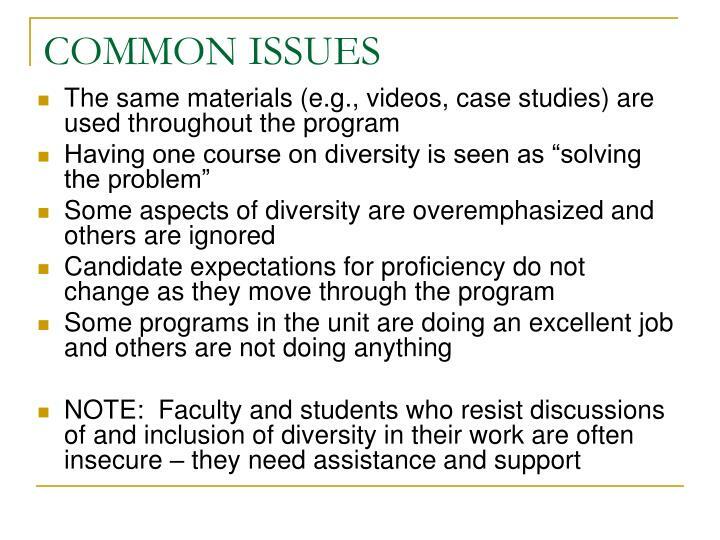 On balance, what is the character and quality of the interactions of diverse peers? 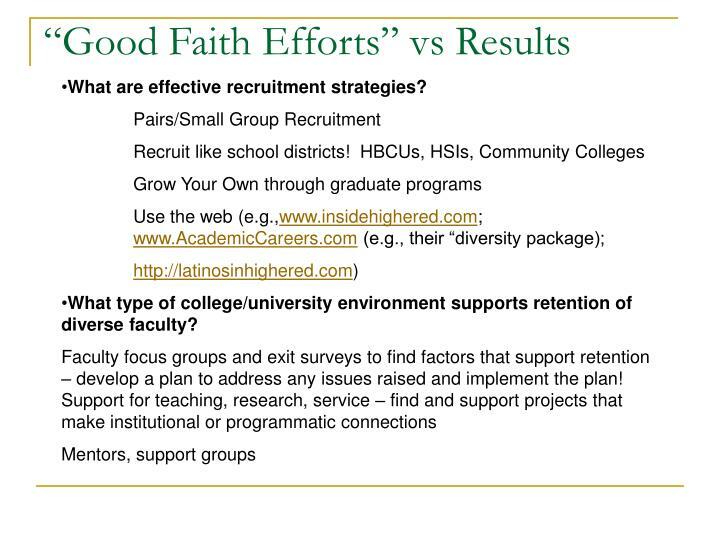 “Good Faith” efforts vs results? 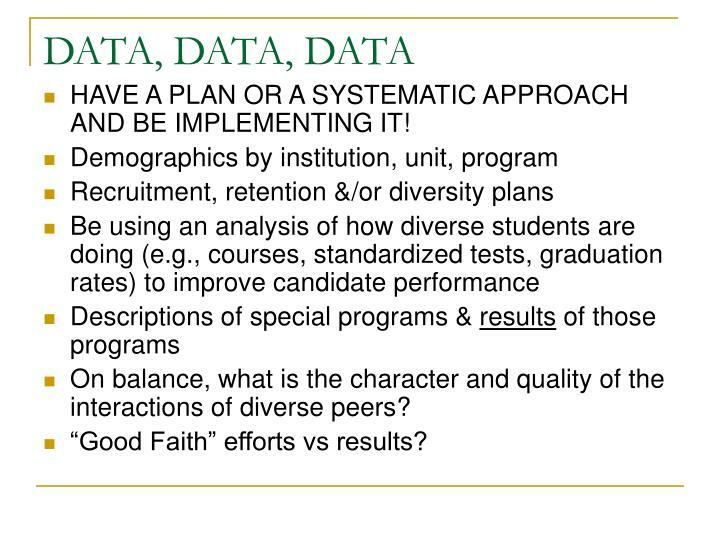 DATA, DATA, DATA – Know the issues for your institution and unit & be taking action! 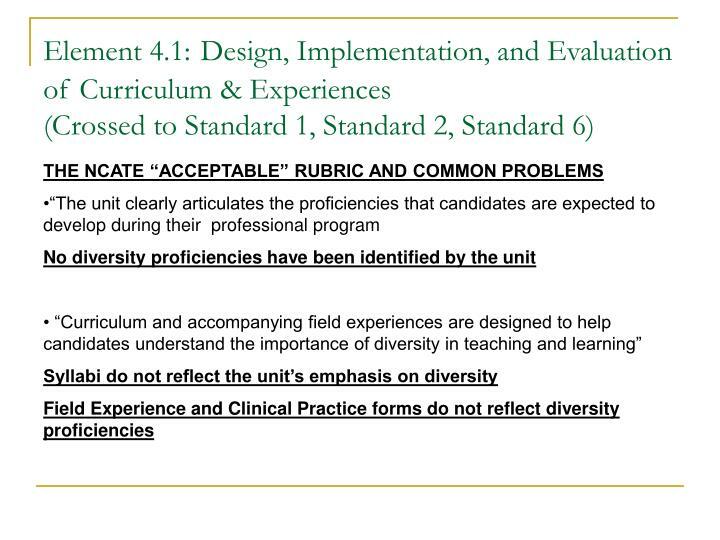 What types of innovative field and clinical placements provide experience with at least two types of diverse P-12 learners? Is there a way to collaborate with colleagues in the liberal arts? How can those be graduated and mediated to support awareness, acceptance, affirmation? How can you use technology to assist you? 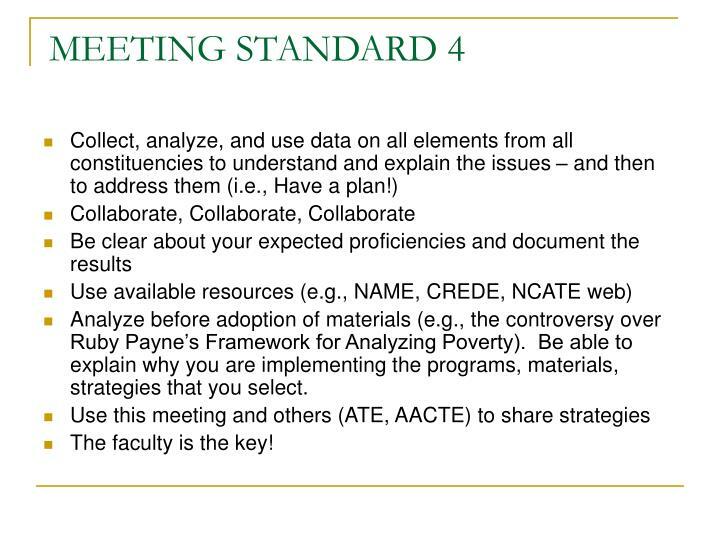 Analyze before adoption of materials (e.g., the controversy over Ruby Payne’s Framework for Analyzing Poverty). Be able to explain why you are implementing the programs, materials, strategies that you select. The faculty is the key! Gay, Lesbian, Straight, Educators Network(GLSEN) – www.glsen.org. Grant, C. A & Gillette, M (2006). Learning to teach everyone’s children: Equity, empowerment, and education that is multicultural. Belmont, CA: Thomson.